Hi guys! I'm stopping in with some quickie cards I made with the new Avery Elle set, Many Thanks. I make a ton of thank you cards, so this set is perfect for me! For my first card, I used the stamps with the new Signature dies and Dotted dies to make a fun badge and ribbon:) Have you seen these new dies? So cute! I also made another mini card that is totally one layer. 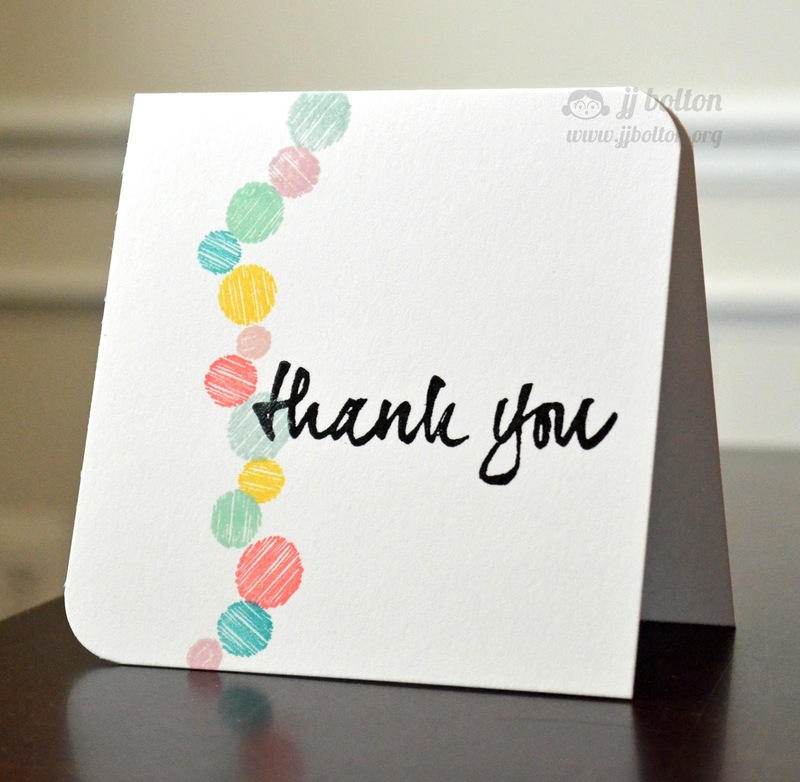 The Many Thanks set has these cute textured circle stamps and they are fun for adding an accent without adding bulk to your card. Don't they look so cute with that sentiment? You are good JJ, I have the dotted dies, now I NEED the signture dies. Your cards are both so cleana dn fabulous! I adore that ribbons! What a great way to use the new AE dies! The stamping on the 2nd is delightful! Love these, love the vellum layer on the ribbon and such a great one layer card! As always, your cards are just beautiful, JJ! 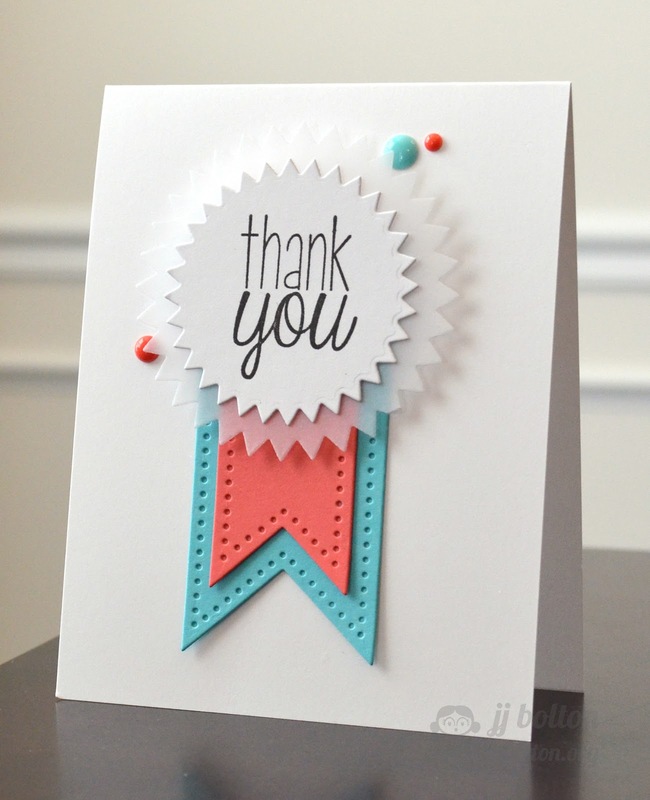 I love how you played with the dies on your first card, and those darling circles are just perfect with your thank you on the second one! Both cards are crisp, clean and fabulous...Love em'! Oh I love them. such fun cards! Saw these on the Avery Elle blog and loved the ribbons.